Newcastle United v Coventry City | NUFC Blog. 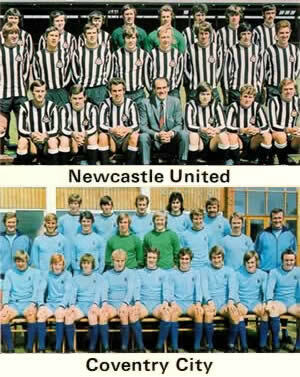 Archive for tag: Newcastle United v Coventry City. Trip down memory lane to better times. After the last two abject displays away to Derby and Swansea, there can be no question that Newcastle need to turn in a convincing performance and take all three points from the game against Coventry City at St James Park tonight. With West Brom’s draw Tuesday evening taking them back to the top of the table on goal difference, and Forest’s win closing the gap between us and them to 2 points but with our two games in hand, we need to make our next two home games count by taking all six points. 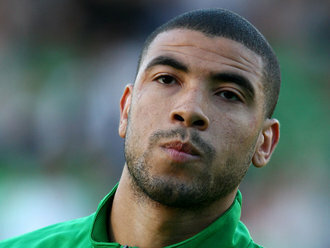 “We have got two wins in the last two so let’s go up there and make it three. Why not? “I think people will start taking notice of us now that we are showing we are not just a bottom half team. Newcastle go looking for their third ‘double’ of the season on Wednesday, to go along with the victories home and away against Crystal Palace and Cardiff, against a Coventry side unbeaten in five games and offering something of a resurgence since we beat them at the Ricoh Arena. And while our home form looks good, we’ve suffered a few stutters in the last few games, so Chris Hughton will undoubtedly be looking to buck the recent trend and get back to winning ways. In order to do that, we’re going to have to start scoring goals, and preferably not at the death to rescue a point. Flying high at the top of the table, 10 points clear of a play off place, Newcastle United face Coventry City on Wednesday evening aiming to extend their winning run to 7 games on the trot. The Sky Blues, currently languishing in 20th position just above the relegation zone, will not be looking forward to facing an in form Newcastle United, especially as City have picked up only 4 points since beating Watford in late September. Matters will hardly have been helped after manager Chris Coleman slammed his side as ‘selfish’ following their defeat at Scunthorpe last weekend. Hoping to see a reaction from the players it may only demoralise them further. If Ipswich and Sheffield Wednesday have positive results this evening, the Sky Blues will have slid into the relegation zone come kick-off time at the Ricoh Arena. So it seems that nearly two years into his time at the club, Coventry are in the same position as when Coleman took over. 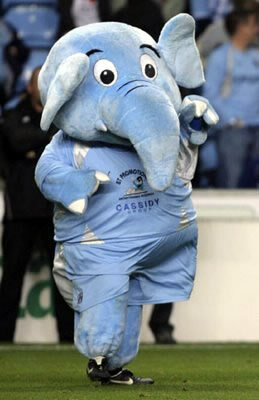 He claims to have significantly improved the squad but at the moment the results aren’t playing out for them. To their credit, although the fans aren’t happy, they don’t seem to be calling for his head, having had their fill of watching the managerial merry go round over the years. 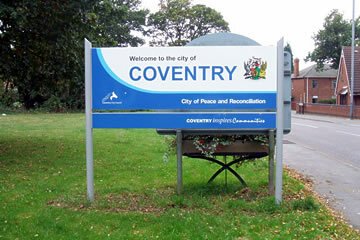 Coventry: "City of peace and reconciliation"
You may have read about an idea I came up with about travelling for our away games, and if you haven’t, well you have now. I’m hoping to make this a regular feature, detailing various elements of travel for Newcastle United away supporters. To aid with this i shall be calling on my experience of away days, my own personal knowledge and geography as well as some insider tips I have picked up over the years. Its also more for people who will be making their own way to grounds, as I’m assuming most people travelling from Newcastle will be using the coaches… something I never have done (the fear of urinating in one of them tiny bogs cripples me). Its also not meant to be a match preview as i’ll leave that up to the guys that do it so well currently.